(Saturday, November 3, 2018) – When the U.S. Constitution replaced the Articles of Confederation in 1789, George Washington, as our first president, decided that term limits for the presidency were important in order not to extend too much power to one person. Since then, term limits became codes in many elected office positions in state, county, and municipal government charters. 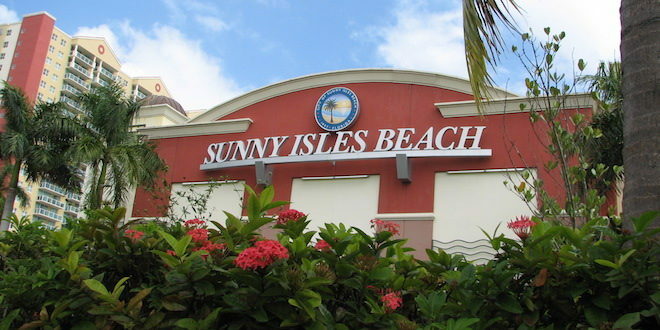 While several counties and municipalities in Florida have only recently amended their charters to introduce term limits, the City of Sunny Isles Beach had codified term limits in the original City charter. Since its inception 21 years ago, the City has grown to a thriving community where the residents enjoy a lifestyle with the highest quality services like beautiful parks, an excellent school and high-quality retail services. In fact, in this relatively short period, Sunny Isles Beach has become a world-class destination for tourism and for young families to call home. These successes can be attributed to the wisdom of the voters who have always chosen the right people to serve in the City Commission as leaders of the community. This November I will complete my second and last term as City Commissioner. I am proud to have been part of this leadership journey and I know, in my heart, that the City will have elected officials who are going to continue to serve it well. As this is my last article for the Islander, I would like to thank the Mayor, my fellow Commissioners and the City staff who have made this journey so meaningful and memorable.